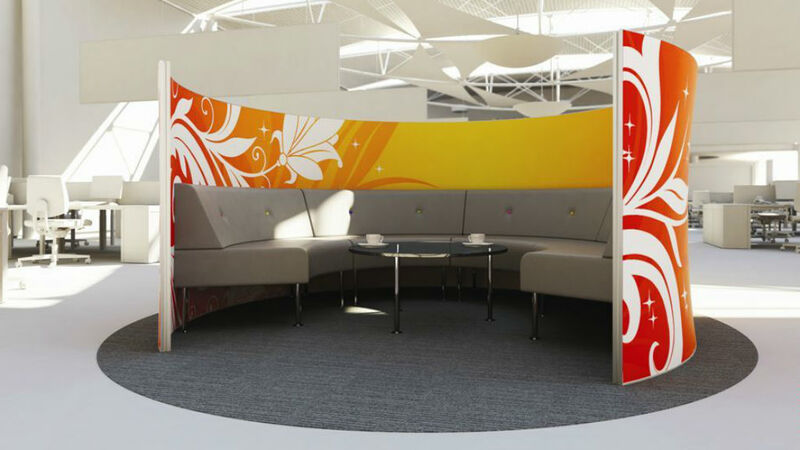 Comprised of aluminium frames with an ultra-strong digitally-printed tensioned polyester fabric panels on both sides, the digital print capability enables the designer to realise fully immersive, unique environments with amazing branding possibilities. 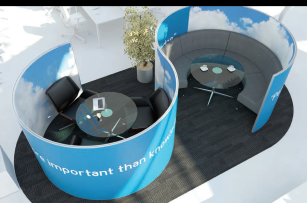 Behind the fabric we can incorporate an optional acoustic interlayer which radically improves acoustic comfort by soaking up sound energy making Cocoon Acoustic Workpods ideal for offices, colleges, schools, exhibitions and showrooms… in fact anywhere people need to meet, talk, think or concentrate. With less sound energy bouncing around speech becomes more intelligible and the building occupants speak more quietly. 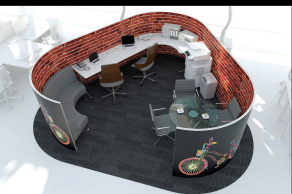 Cocoon Acoustic Workpods can be curved, straight, freestanding, interlinked or even suspended. 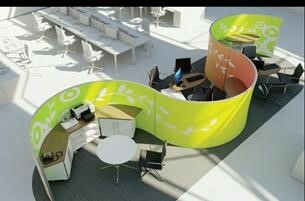 All components are recyclable making Cocoon Pods & Panels a wise eco-choice. The Cocoon Pod was used in one of our projectss. 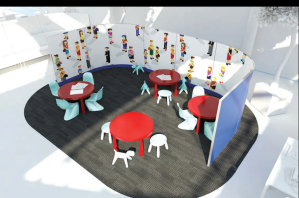 Click here to view our Runshaw College installation. 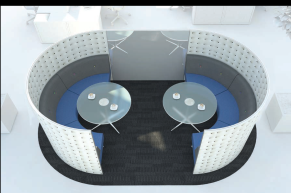 Circular- This is the original, iconic workpod, available in 270° degree or 315° degree versions.The most popular sizes are 2.5m dia for 4 person meetings and 3.0m dia for 6 person meetings and team huddles. 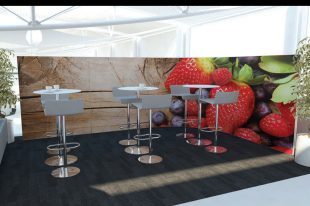 Snake – This is a versatile and popular configuration which forms a striking focal point in any interior space. Join two equal size pods or combine different sizes for added interest. 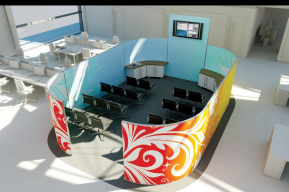 Arc – Arcs can be freestanding or joined together to create dynamic forms. Available in diameters from 2.0m to 6.0m. The 90° degree, 135° degree and 180° degree options are the most frequently requested. Nook – An attractive and inherently stable configuration. 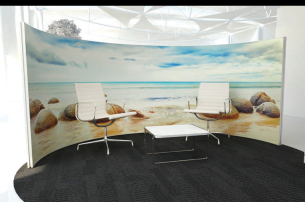 The curved returns make this a welcoming space for informal interaction and relaxation. 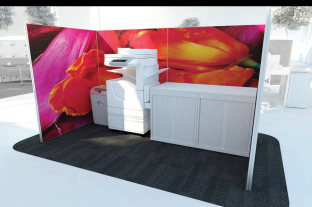 Quad – Build up to almost any size you like to form a permanent or temporary meeting room. Straight panels can incorporate dry wipe panels and we sometimes get asked for a concealed support frame for plasma screens. Triangle – This is a very exciting configuration because the angled walls create a sense of dynamism. Surprisingly space efficient and can be clustered together or varied in size. Ideal as teaching and project team environments.